Just 15 Minutes an Evening is all You Need! When I am working with “chronically disorganized” individuals and we de-clutter their home, there are now tasks that each family member must do to keep the work complete and the house in order. If not, they will need to rehire me to bring things to order once again. Pick up what was not put in place in the common areas of the home. Fold a load of laundry AND put it away. 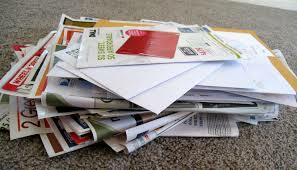 Sort the mail into a system that works for your family. Shred documents from mail not needed. Pick up and wipe down kitchen counters. I challenge you to begin now. Don’t put it off. You will clearly have a home that is more peaceful, cozy and appealing to the eye.